CARFAX One-Owner. **INCLUDES WARRANTY**, **4 WHEEL DRIVE**, **MOONROOF SUNROOF**, **LEATHER INTERIOR**, **GOOD BRAKES**, **GOOD TIRES**, **TINTED WINDOWS**, ** 3RD ROW SEATING **, ** TV/DVD ENTERTAINMENT SYSTEM **, ** LOW MILES **, AWD. AWD Priced below KBB Fair Purchase Price! K. Reviews: * If you're looking for a big family vehicle with excellent safety ratings, the ability to tow 5,400 pounds and reasonably good fuel economy for its size, the 2011 Chevrolet Traverse may be the best game in town. Source: KBB.com * Compliant ride; seating for up to eight passengers; adult-friendly, split-folding third-row seat; massive cargo area; top safety scores. 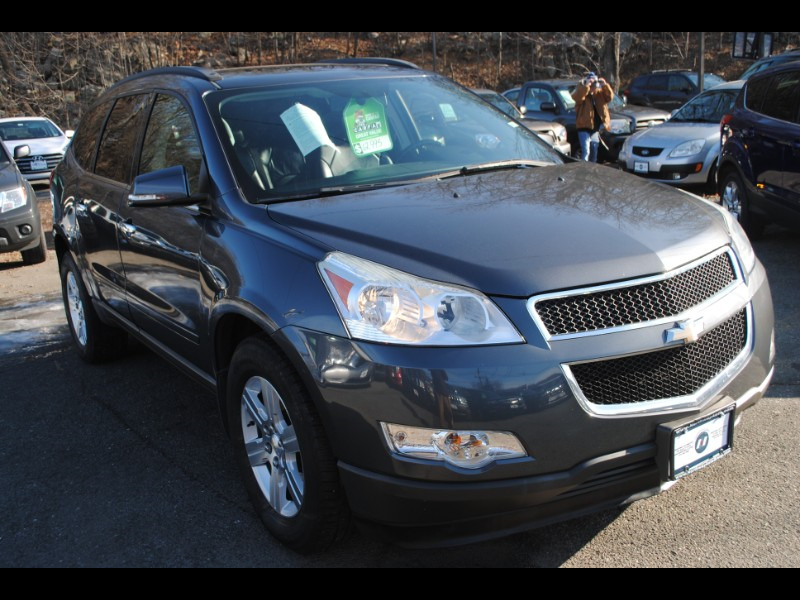 Source: Edmunds Awards: * 2011 IIHS Top Safety Pick (built after 1/11) * 2011 KBB.com Top 10 Family Cars This 2011 Chevrolet Traverse 2LT will not make it to the weekend!! CALL NOW to reserve your test drive Appointment!! (973) 663-3800.